February is the month of love when we celebrate Valentines Day! 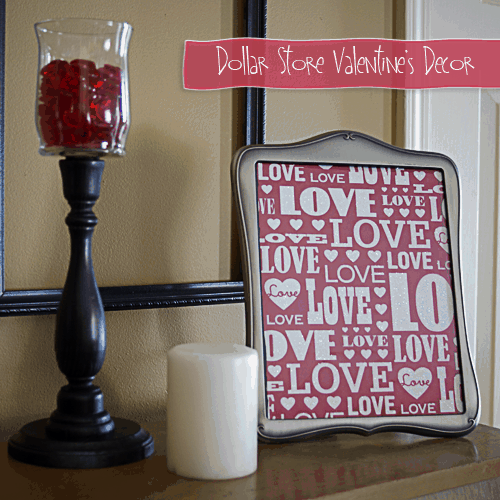 It can be really fun to decorate the house with lots of red and pink and candy hearts! 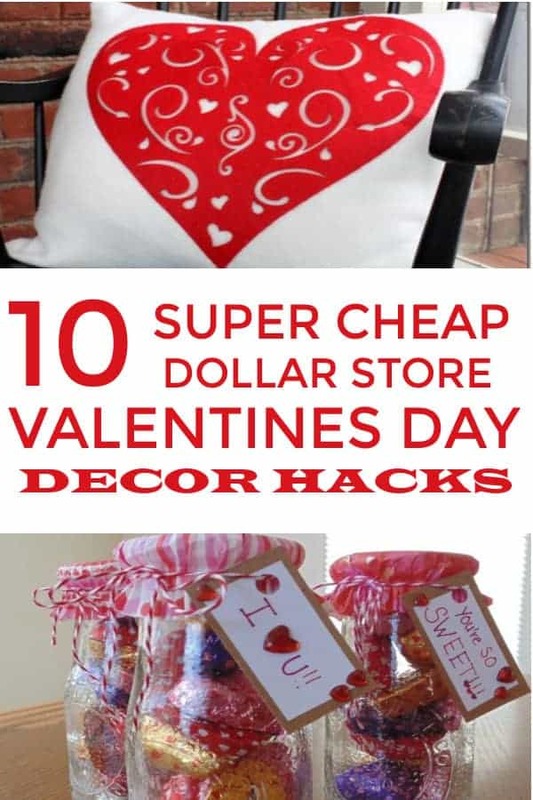 I love to decorate but it is not a holiday I want to spend too much money on so I was thrilled to find these Dollar Store ideas for decorating for Valentine’s Day! I thought this wreath was very pretty! 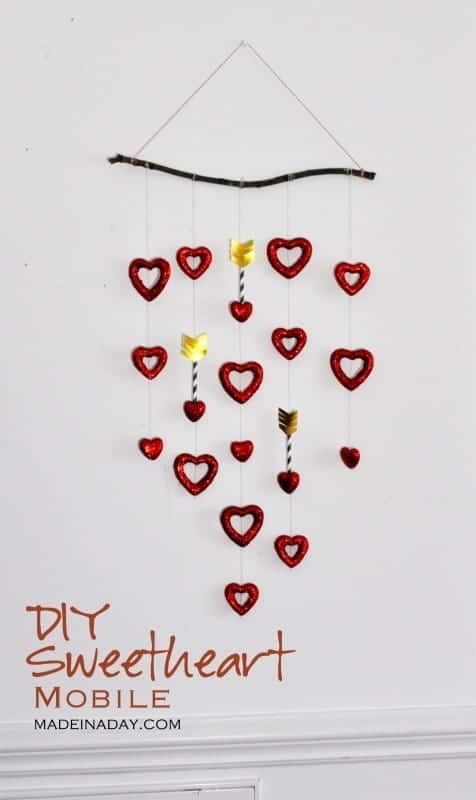 It has a shabby chic feel and would make a great decoration for a beautiful door or wall! 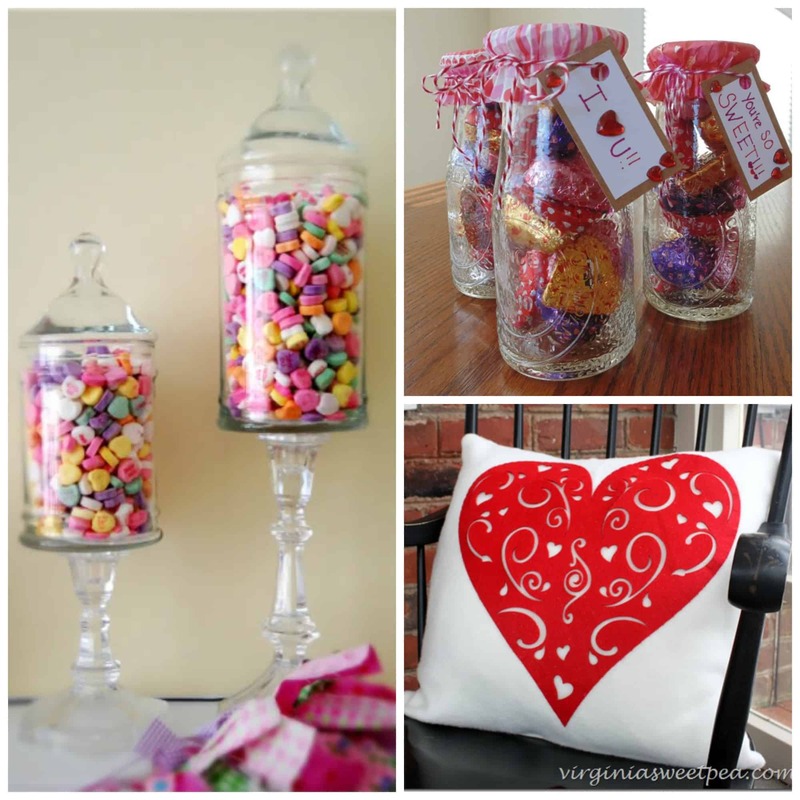 I love anything with a glass jar. 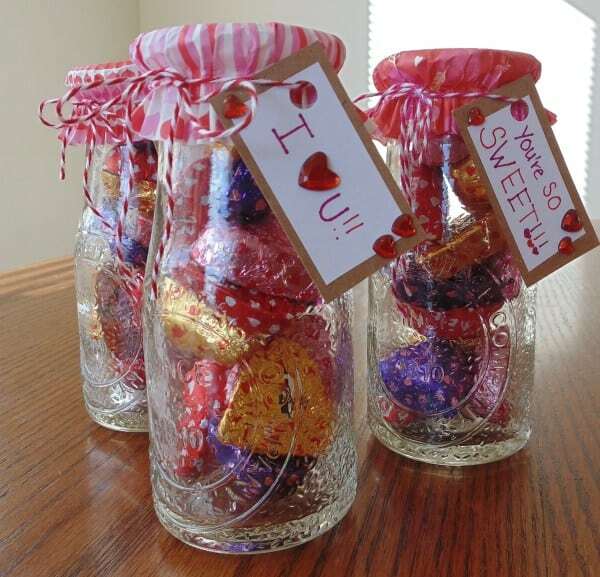 Jars have a way of making anything look pretty and these are pretty indeed! 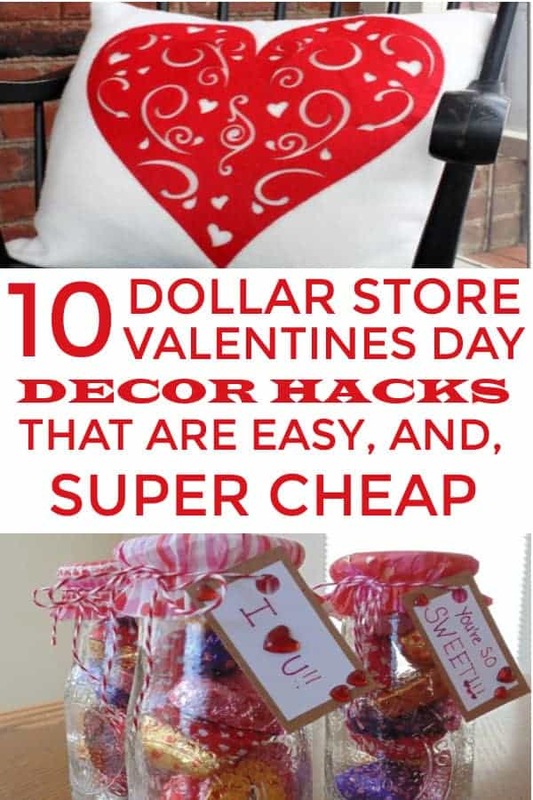 I don’t think you can make this totally from the dollar store but it looks simple and it is so creative! 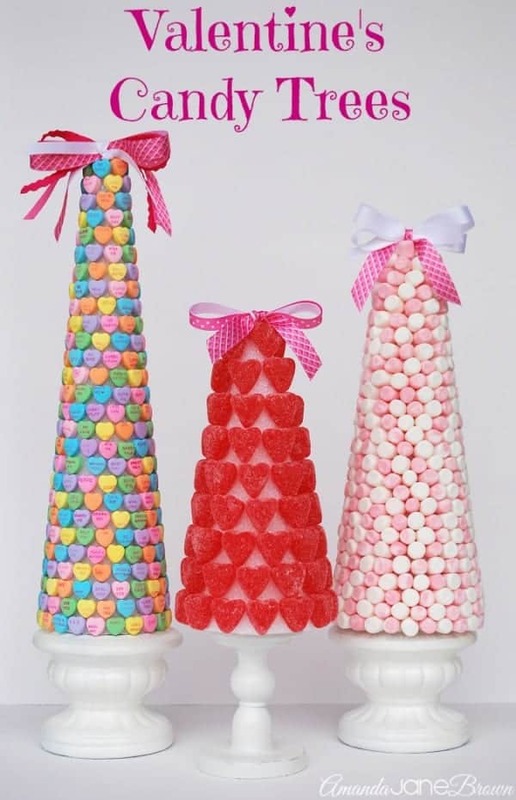 I just love these Valentines Day Trees. There are so many beautiful printables on the web now for decorating. 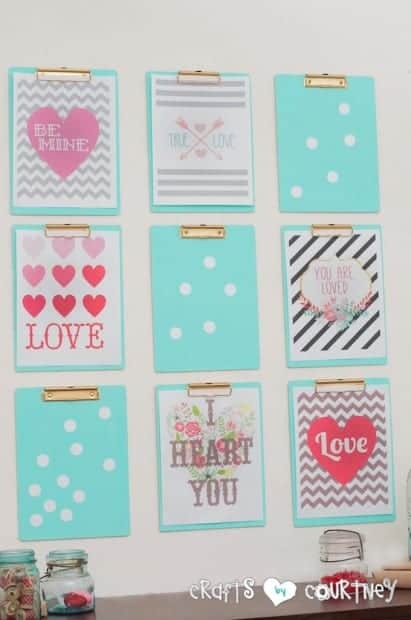 There is no excuse for not having pretty things on your walls for decoration anymore and these dollar tree clipboards are stunning! I love the way they look for the holiday. 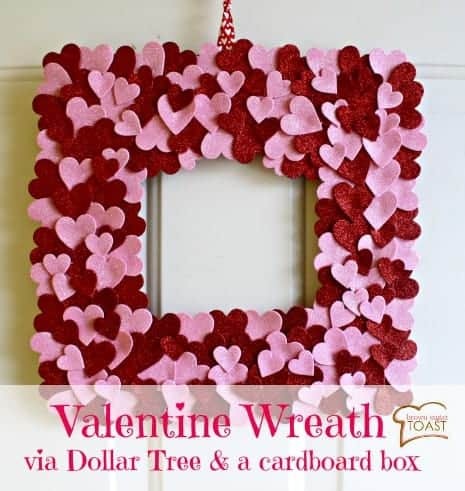 Another great wreath made of hearts. Doesn’t it just scream LOVE? She made this beautiful vase of hearts for 6.00!! That’s insane, these would make great centerpieces for a party too! 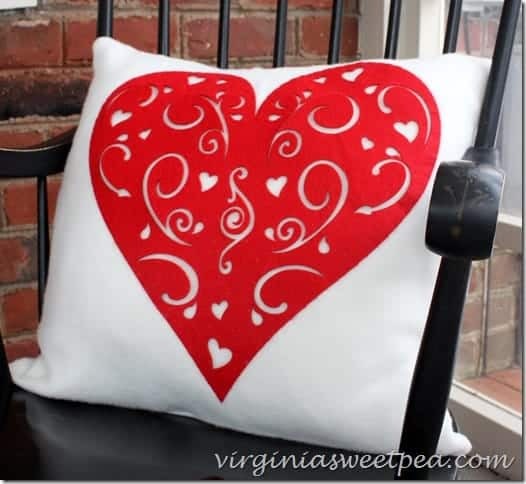 Would you even dream you could make a pillow like this from the Dollar Store? I think it is beautiful and perfect for Valentines Day. 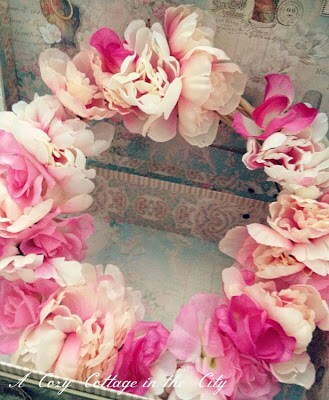 I LOVE this frame idea! It looks like professional prints all over your house, check out her post-she has other designs and they are lovely! We could not have a sweetheart mobile for Valentines Day, right? This is just wonderful and so creative! 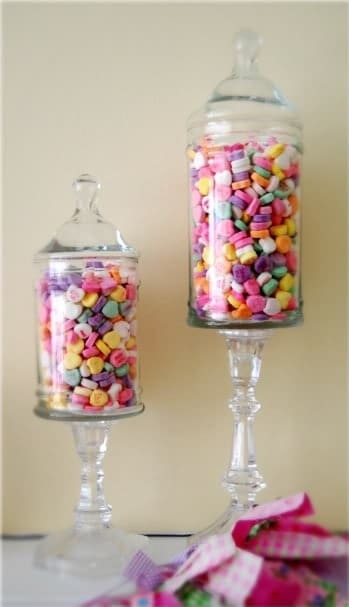 Another glass jar with candies. 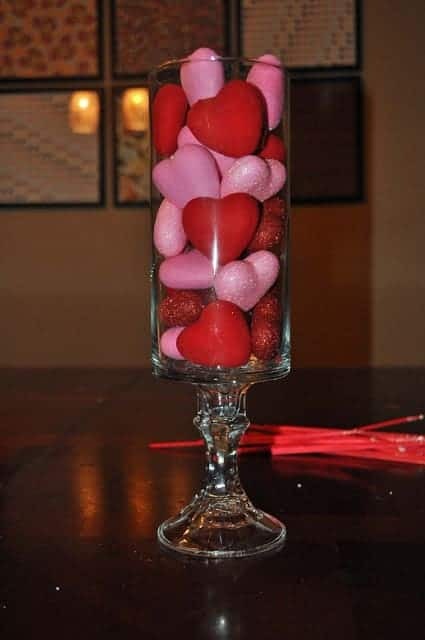 The colors of Valentines Day are so pretty and putting them in the glass just makes your place look vibrant and pretty! Love this and it would look great in any room! Hope you enjoy the great decorations! Make sure to try some of these and let me know how they look! WANT TO REMEMBER THIS? SAVE THE DOLLAR STORE VALENTINES DAY DECOR IDEA LIST TO YOUR VALENTINES DAY PINTEREST BOARD!